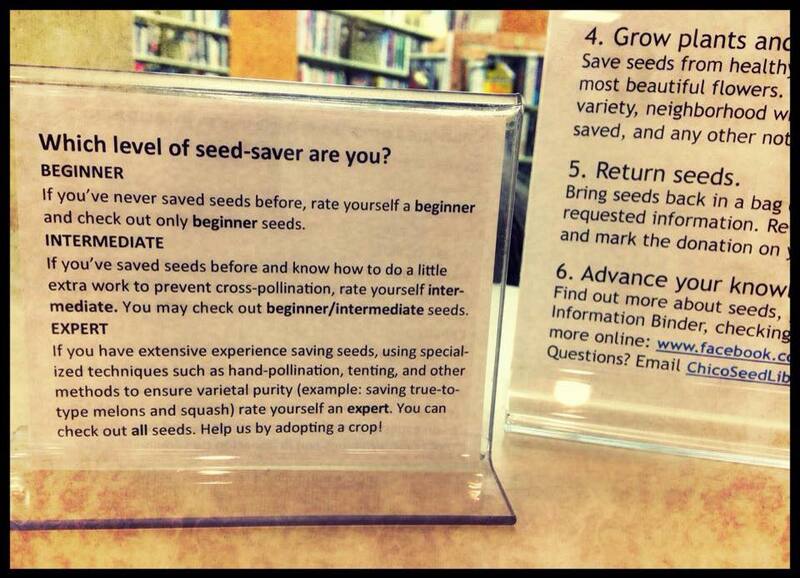 At Chico Seed Lending Library (CSLL) we hope the seed library borrower learns to save seeds properly and also returns some of their seed at the end of the season. This is an honor system-based program that is meant to be self-perpetuating and community supported. Please make sure to choose healthy, tasty plants to save seeds from and keep records as requested on the return envelopes. Information such as plant name, variety, neighborhood where grown, date of collection, how saved, and any notes are important. Asteraceae or Compositae (artichoke, cardoon, lettuce, sunflower.) Allow the plants to flower, collect dry seeds. Fabaceae or Leguminosae (bean, lentil, pea,peanut, soybean.) Allow beans and peas to dry in their pods on plants before collecting and storing, but gather them before they shatter. Solanaceae (eggplant, ground cherry, pepper, tomatillo, tomato.) Allow fruits to fully ripen. Seed must be separated from pulp (letting pulp ferment in water for a few days is helpful). Seed should be rinsed and dried thoroughly before being stored.